LMN Tree: Time for a Great Giveaway! 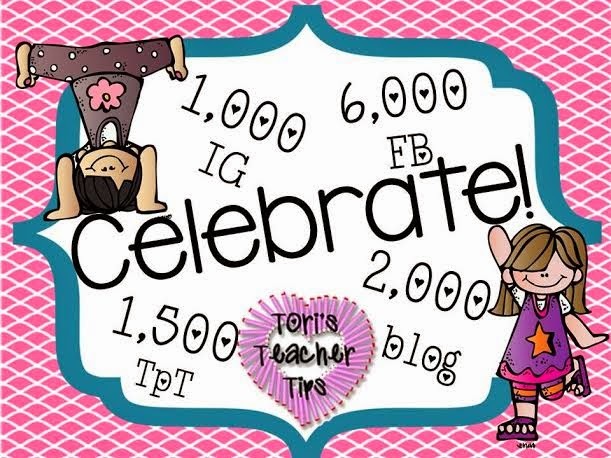 My friend, Tori over at Tori's Teachers tips is having a great giveaway! She's giving away $10.00 to spend in her TpT store plus $10.00 to spend on TpT products and some amazing products from her friends that you don't want to miss. I'm in Bundle #2 and giving a way Winner's Choice to any one item in my TpT store. You only have today and tomorrow to enter my bundle but you can still enter bundle #1 today. All you have to do is like her FB page by clicking on the pic at the top of the page and enter. There are five days of celebrations! Hope one of my followers is a lucky winner today. Thanks for all you do to make a difference for your students. Have a wonderful week!